KALIS, KLEIMAN & WOLFE will help you manage business related issues pertaining to taxes, finance, business formations, acquisitions, mergers, employment/labor laws, contract negotiations, and litigation. We routinely counsel our clients in the structure, operation and dissolution of their businesses. The firm drafts the necessary documents, and advises its business clients on corporate governance, issuance of stock, shareholder, partnership agreements, the sale of closely held concerns, purchases of other businesses and the varied issues that arise in the ownership of their businesses. The firm serves several businesses as their outside “in-house” counsel. The fields of the businesses represented are extremely diverse. Business owners and executives have the obligation and responsibility to their employees, shareholders, partners and families to protect their companies and operations from the legal threats that haunt businesses. As qualified Lead Counsel business law attorneys, KALIS, KLEIMAN & WOLFE will help avert and help prepare for the legal issues that may arise with developing a business. We will advise you on the best business formation for your specific needs; and help research and address possible property concerns, employee related topics, tax questions and other legal matters that can arise with forming and running a business. The Commercial and Real Estate Law firm of KALIS, KLEIMAN & WOLFE pride themselves on not just being lawyers, but being lawyers and counselors. For over 20 years, our partners have led and participated in real estate transactions and development projects that have helped shape Ft. Lauderdale’s skyline and Davie’s growth. Partner M. Scott Kleiman has served as Chair of the Cooper City, Florida Planning and Zoning Board. And, Neal Kalis has served on the Davie Community Redevelopment Agency since its inception, is a past president of the Davie Chamber of Commerce and the Hollywood, Florida Rotary. The partners also serve on bank advisory boards. 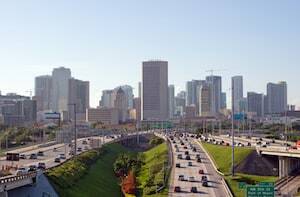 As such, the firm has its hands on the pulse of South Florida real estate and development and has strong relationships with many of the banks, developers, contractors, architects and others involved in complex real estate and development transactions in South Florida. For more information, contact us. We welcome your inquiries.